Take a close look at these sweet-looking women's shoes. See the small “Alloy Toe” label on the outside of the blue toe piece? Yeah, Reebok nearly HAD to put that there to prove that these are actual work shoes. They look and feel so much like running shoes, and ... (see full details) (see specifications) #RB044. Take a close look at these sweet-looking women's shoes. See the small “Alloy Toe” label on the outside of the blue toe piece? Yeah, Reebok nearly HAD to put that there to prove that these are actual work shoes. They look and feel so much like running shoes, and their unbelievably lightweight construction doesn’t help. When you first pull these Reebok Women’s Sublite Cushion RB044 Alloy Toe ESD Grey/Blue Athletic Work Shoes out of the box, you’ll start to question it yourself. Just look at that label, then press on the toes, and there’s your proof...yes, these ARE work shoes. And not only that, these Reebok women's athletic are durable, flexible, and comfortable and will hold up in industrial environments. The lightweight alloy toe caps are ASTM F2413 approved and dual resistor technology along with no exposed metal on the uppers also earn them the ESD (electro-static dissipating) title as well. With Reebok’s own Sublite construction, MemoryTech massaging insoles, and breathable mesh, you'll never want to wear anything else to work again. These athletic oxford women’s shoes are made with blue and grey mesh with webbing for the most breathable fit and best moisture transfer of any safety toe shoes you’ve ever experienced. Together with the high performance sweat-wicking nylon mesh linings, hot, sweaty feet are a thing of the past for you. The linings of these women’s safety toe ESD shoes will draw your sweat away from your skin while the air flow through the webbing and mesh uppers push it out to keep your feet drier and cooler all day long (except if you step in a puddle, of course...with these webbed alloy toe shoes, you'll want to avoid that...). For an even better experience, add moisture-wicking performance socks to your work routine to complete the triple threat against sweaty, hot feet: high performance socks, shoe linings, and mesh webbing. And that’s not all - when you first slip your feet into these lightweight Sublite blue and grey shoes, you'll experience the power of MemoryTech Massage. These foam insoles conform to your feet to offer targeted support that gently massages your skin as you move, refreshing the comfort with each step and promoting air flow underfoot for even more cooling/drying power. These insoles are removable in case you have more specific orthotic needs. Beneath these memory foam insoles are the Sublite EVA Cushion Midsoles. Providing the main structure of these ladies’ safety toe cushion athletic shoes, these performance enhancing, flexible midsoles are shock absorbing to reduce foot stress and flexible to keep you moving. Using flex point technology, these lightweight midsoles bend with your feet for the best daily experience possible for you. The outsoles consist only of rubber heel and forefoot pads for the best in durable slip resistance with minimum weight contribution. These ladies’ work shoes have earned the “lightest in the industry” title by a landslide and will shock you with their industrial strength durability. The lightweight alloy toe caps are ASTM F2413 approved and dual resistor technology along with no exposed metal on the uppers also earn them the ESD (Electro-Static Dissipating) title as well. Style and comfort never looked or felt so good on the job. Enjoy these Reebok Women’s Sublite Cushion RB044 Alloy Toe ESD Grey/Blue Athletic Work Shoes from Working Person's Store; they're perfect for factory or industrial settings and ideal for hardworking women who walk a lot or stand for long hours on shift. I thought long and hard about buying these shoes without a review. My previous work shoes left sores on the bottom of my right foot. After buying, my first 10 hour shift went well, but after 8 hours, my right foot hurt...... NOT this shoes fault!! I bought a very thin, extra padded insert and all I can say now is AMAZING, FANTASTIC, and WOW!! It's like walking on air! I wore these Reebok shoes today to a mall to go Christmas shopping with my 12 year old granddaughter. I can honestly say that I never even thought about my feet!! When your feet can feel good at work AND on the go..... you have my good review. The only reason for my (4) stars, is because I had to add that insert to help the ball of my foot not hurt. I would have expected full padding for a 10 or 12 hour shift. 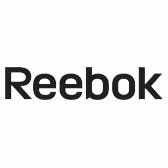 Reebok Shoes: Women's RB044 Alloy Toe ESD Grey/Blue Sublite Cushion Athletic Oxfords is being added to your cart.